Mrs. Helen Lawrence Purnell age 82 of Lebanon passed away May 27, 2018. Born in the Temperance Hall Community of DeKalb County, she was the daughter of the late Roy M. Lawrence and Grace Midgett Lawrence. She was a member of the Baptist Church. She retired from Precision Rubber as personnel manager. She was preceded in death by her husband, Hugh H. Purnell; sister, Georgia Hall. 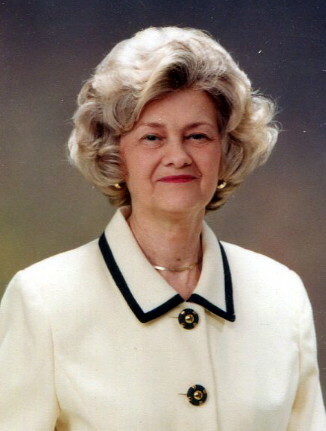 She is survived by two daughters: Melissa (Bill) Morrison, Lynn (Scott) Smith; three grandchildren: Jake (Brandilyn) Smith, Jaime Morrison, Kristen (Cody) Swayze; four great-grandchildren: Eilem Smith, Eden Smith, Braylen Higgs, Wyatt Smith; brother, Larry (Brenda) Lawrence; sister, Jean Huffines. Funeral services will be held Thursday, May 31, 2018, at 11 a.m. from the Ligon & Bobo Funeral Home with Bro. Gary McCaleb officiating. Interment – Wilson County Memorial Gardens. Pallbearers: Brian Fuller, Roger Steed, Jeff Lawrence, Cody Swayze, Bill Morrison, Scott Smith. Visitation Thursday 9 a.m. – 11 a.m.
Our thoughts and prayers are with you. Love you Lynn and Scott. Prayers are being whispered for you and your family. Remember God is always just a prayer away and He knows your need.